eCourts: Justice Pending in India? The justice delivery system in India is facing a stiff challenge. And it’s been like this for several years now. Consider this. According to statistics, more than 32 million cases are pending at this time in Indian court rooms. Of these, 27 million are in the subordinate courts, while 4 million are in the many High Courts, and the rest are pending with the Supreme Court. It seems to be getting worse as well. In the last decade alone, pendency has gone up by as much as 38% according to a research published by PRS Legislative. Pendency has increased by a staggering 148% in the Supreme Court. Over the next three decades, unless things change quickly, judicial pendency in India is expected to see a five-fold increase. Judicial strength on the other hand will go up by just four times. That is a worry. Currently there are close to 19,000 judges in the country, 18,000 of them are with the trial courts. Things have become so bad that civil cases in India can sometimes last for up to 15 years. It’s not good, because after all, “justice delayed is justice denied”. Interestingly, the number of judges has gone up by six times in the last decade. But the problem is, the number of cases in courts at different levels have increased by twelve times in the same period. Pendency has increased because of this. To be honest, the Law Ministry has been trying for a while to address this issue. The number of court rooms has increased. There are circuit benches. There are even ‘Fast-Track Courts’ that are supposed to speed things up, particularly the cases that have been running for several sessions, and those that are sensitive in nature. But these measures don’t seem to be working. The pendency situation just hasn’t improved. The Indian government is now trying to solve the issue with another approach: the launch of eCourts or electronic courts. The law ministry is busy computerizing the courtrooms with active support from the National Court Management System (NCMS) that is supported by the Supreme Court of India. 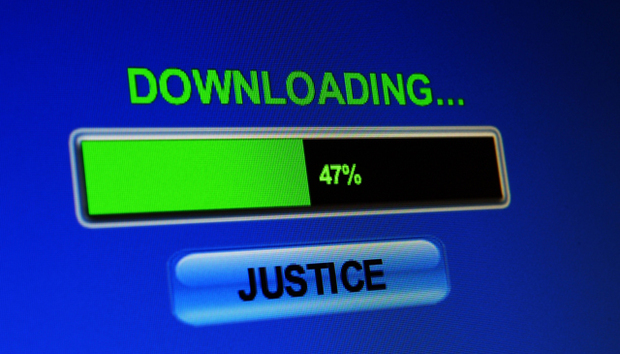 eCourts will allow people to get certified copies of judgments over the internet. This will be much more convenient because people won’t have to do inordinate rounds of the courts to get their documents and updates. Plus, with eCourts around, litigants can finally do eFiling and ePayments as well. Laws have been amended in Delhi and Mumbai already so that the courts there can receive the court fees through ePayments. This is going to be rolled out across the country soon. Launched about a year back, the government’s target is to achieve full computerization of 12,000 courts within 2015. But of course, the purpose of eCourts goes far beyond computerization. It aims to use technology in different ways to speed up proceedings and deliver judgments more quickly. But having said this, computerization is a start, and it seems to be working as well in bringing down pendency. The law minister has revealed that in just a year, pendency has been reduced by half a million. In addition to computerization, court files are being digitized. This will allow judges to take the case files to their homes in pen drives and external hard drives, instead of hard copies. The National Court Management System feels that this is going to speed up things. With eCourts, it would not be mandatory for the under-trials to be brought to the court room. That’s something very important, because as of late 2013, more than 60% of those locked up in jails are under-trials. In an electronic court, a judge will not need to be face-to-face with an accused or advocate in order to hear the argument. They could be in different locations and cases can be filed from any place in India. Electronic courts should also bring about more efficiency and transparency and reduce corruption. This should lead to a more effective witness protection program. It has also been predicted that eTrials will allow the witnesses to participate more in the proceedings. Evidence will be submitted electronically without the witness needing to be physically present. Case files could also be served electronically to the parties. The physical sending of documents would be done away with, and that’s going to save time too. The law ministry believes that eCourts will bring pendency down remarkably within the next five to ten years. But will this work? The litigants and under trials jailed at this time certainly hope it does. The judicial logjam in India isn’t great news. The time has come to improve the situation. But will eCourts do that? Not everybody is convinced, and that includes the National Court Management System. It points out that eCourts or electronic courts are good for India, this is the judicial reform India should certainly go for. But just this alone might not improve things. What India needs is more judges. With India's literacy rate and per capita income increasing, more and more Indians are expected to approach the courts seeking justice. Cases filed per thousand are likely to go up from the current rate of 15 to about 75 within the next 30 years. In another three decades, India’s population is likely to be somewhere near 1.5 billion. So taking the higher literacy into consideration, it would mean that, 150 million new cases might be filed every year by that time. NCMS points out that ideally, India should have 50 judges per million. And at 1.5 billion, the country should have 75,000 judges. Of course, India is nowhere near that. At this time, India has a mere 19,000 judges across courts at all levels. Also consider this, if pendency comes down, then more people are likely to approach the courts. If this happens, then there would almost surely be a backlog once more. A lot of Indians don’t go to the court now because of long delays that are taken for granted. So I believe the two need to work together. India needs more courts and judges. The judicial system has to expand significantly. India needs eCourts too. These eCourts will allow the judges to arrive at a verdict quickly. Perhaps the two together will finally solve the legal logjam.